It is possible to eat healthier at each chain. You can have a single burger instead of a double at Shake Shack or order from the "Skinnys" menu at Potbelly, which has sandwiches with fewer than 400 calories. Chipotle says burrito bowls, which leave out 300-calorie flour tortilla, even outsell burritos. But unless you're going out of your way to minimize calories at these restaurants, you're likely to eat far more than a meal is supposed to have. You can get a wider variety of food for 2,000 calories at P.F. 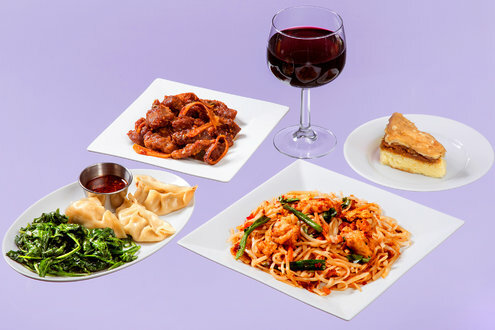 Chang's or Olive Garden, the casual-dining chains. (The main dishes from P.F. Chang's here are half portions.) But you'll still be closer to a single meal's than a full day of food. Are fast food restaurants any better? Generally no. Have you heard the phrase "Sitting is the new smoking" ? More and more research is showing the dangers of prolonged sitting. Well a grade 1 class is taking the lead by adding standing desks to their classroom. In September, Justin Sauer raised the height of all the desks in his classroom at Delisle Elementary School, in Delisle, Sask. He was motivated by research that shows sitting too much can lead to health problems in adults and children. One such study, from researchers at the Children's Hospital of Eastern Ontario in Ottawa in 2013, found that sugar and fat build up in the blood when children sit too long. Too much sugar and fat leads to obesity, diabetes and heart problems. Since propping up all of the desks using metal extensions, most of Sauer's students are opting to stand. He's already noticed some changes. "(Parents) told me their kids were sleeping better, had better postures," he says. On top of that, several appear to be paying more attention in class. "I can say definitively that five or six kids have really benefited," he says. Sauer hopes that his students aren't the only ones who learn this lesson. He thinks fellow teachers should take note too. Starting a new exercise program is challenging. People often wonder: How hard should I be working? Or am I working too hard? Since everyone's fitness level is different, the answer is based on how you feel. Ask yourself: "Using a scale from 0 to 10, how would I rate how hard I am working?" Imagine it like this: Zero means you aren't working at all (I'm lying down watching TV). 10 is the absolute hardest you can work (I'm running as fast as possible up a hill away from a lion chasing me!). 1 and 2: very low to low amounts of exertion. 7 or greater is very strong up to maximum at 10. A quick rule to follow: If you can't talk while you are exercising because you are too out of breath, it is too much. If you can easily carry on a conversation with someone about the Linnet you binged on last night, it is not challenging enough. It is recommended that people begin with an effort of 3 or 4 out of 10 for about 15 to 20 minutes. Remember, as you begin to get tired, you'll need more effort to keep moving at the same speed. So to maintain a 3 to 4 effort, you may need to slow down as you get fatigued to avoid feeling like you are at a 10. This is a nice way to measure your work as it is geared to how you feel, and as you improve your fitness you'll have to work harder to achieve the same feel of effort. So it continues to be a good measure, regardless of fitness level. Are you starting a new exercise routine? Good luck and stick with it! If you haven't been active, talk to us about having a check up.